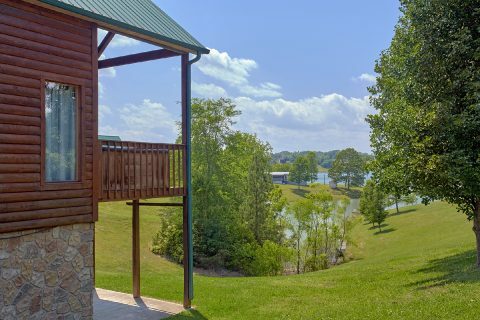 Nestled on the banks of Douglas Lake, you'll find "Ivey's Cove," an affordable 2 bedroom cabin that provides guests with seasonal lake access and a floating dock that's perfect for swimming and fishing! 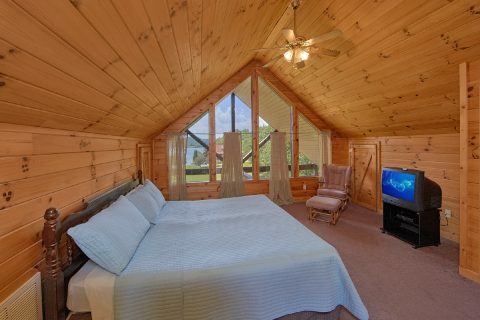 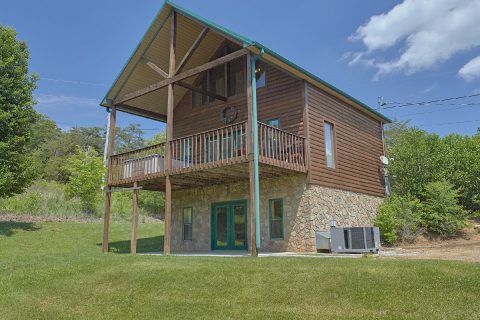 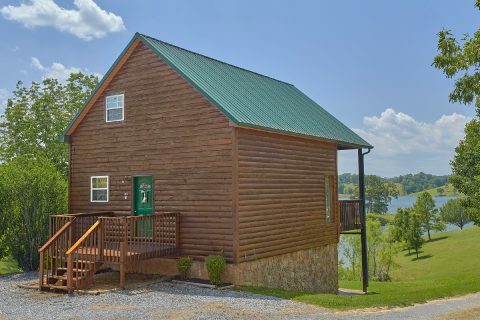 Not only is this cabin ideal for a Smoky Mountain lake vacation, but it also keeps guests close to exciting attractions in Sevierville, Pigeon Forge, and Gatlinburg! 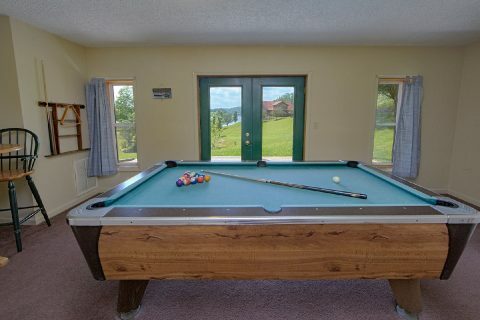 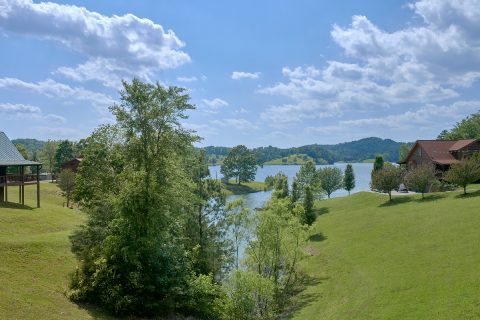 When you aren't busy enjoying the best that the Smokies have to offer, you'll love relaxing at this cabin rental with a great lakeside vacation. 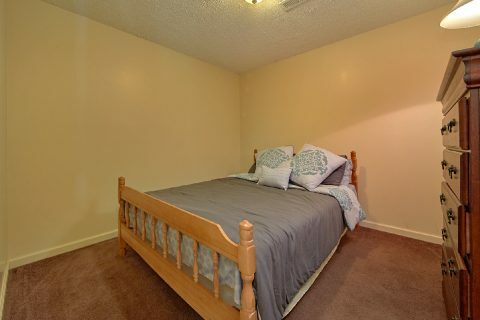 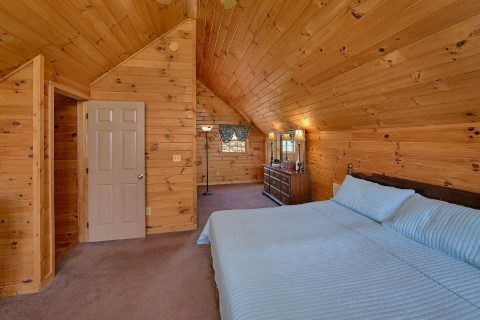 With a king bedroom, queen bedroom, and additional sleeping space this rental can accommodate up to 6 guests in comfort. 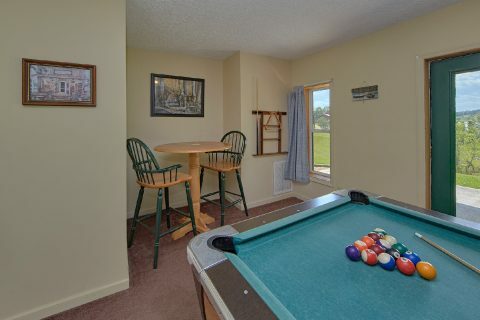 Better yet, "Ivey's Cove" comes with excellent amenities like a pool table, a living room with a television and an electric fireplace, and a hot tub to enjoy during your stay. 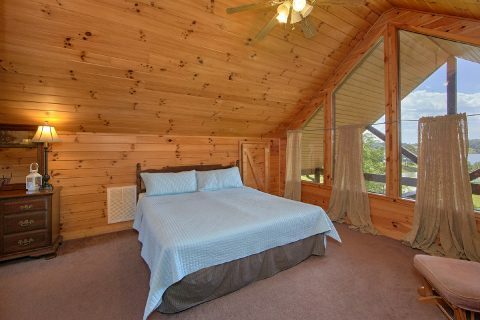 This cabin also boasts decks with views of the lake and an outdoor fire pit for enjoying a nice evening under the stars. 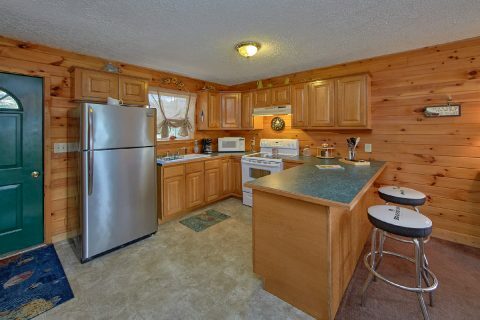 Guests will also enjoy practical amenities like the full kitchen, washer/dryer and a charcoal grill. 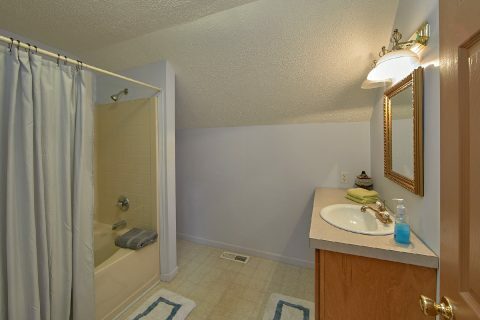 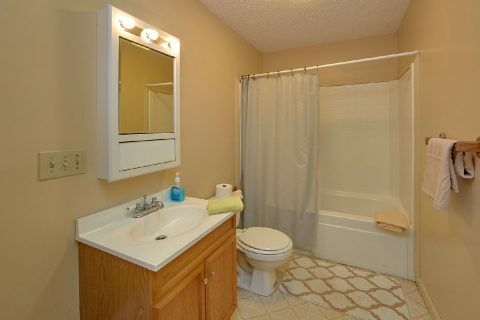 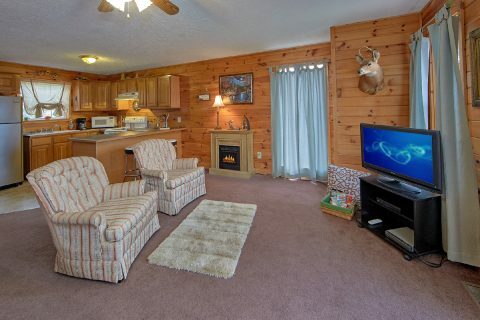 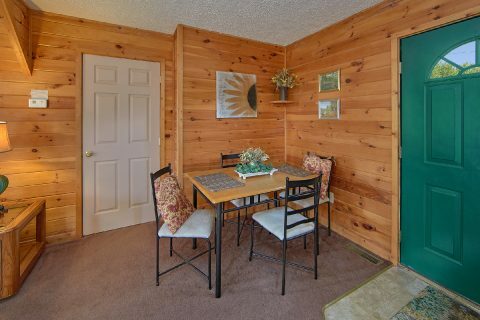 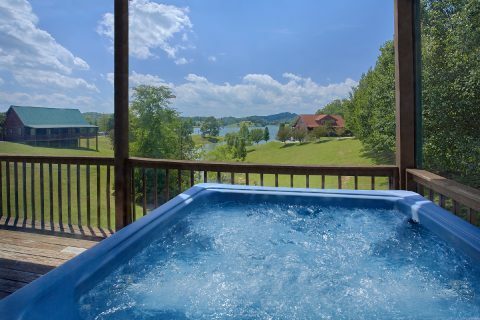 Last, but not least, this rental also boasts 2 decks with nice lake views to help you truly relax during your stay. 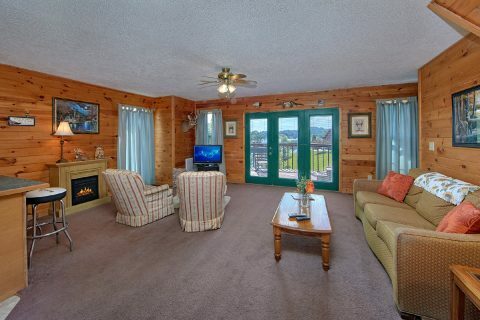 Book this cabin rental on Douglas Lake with a dock today with Cabins USA Gatlinburg to earn a 15% discount on your nightly rate! 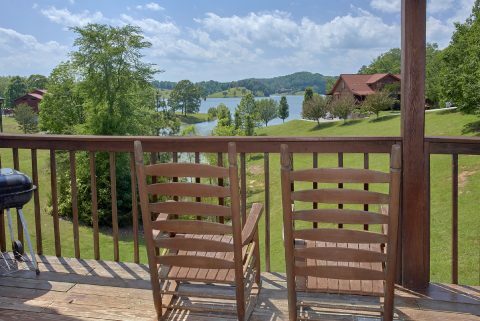 Start planning your Smoky Mountain lake getaway today!